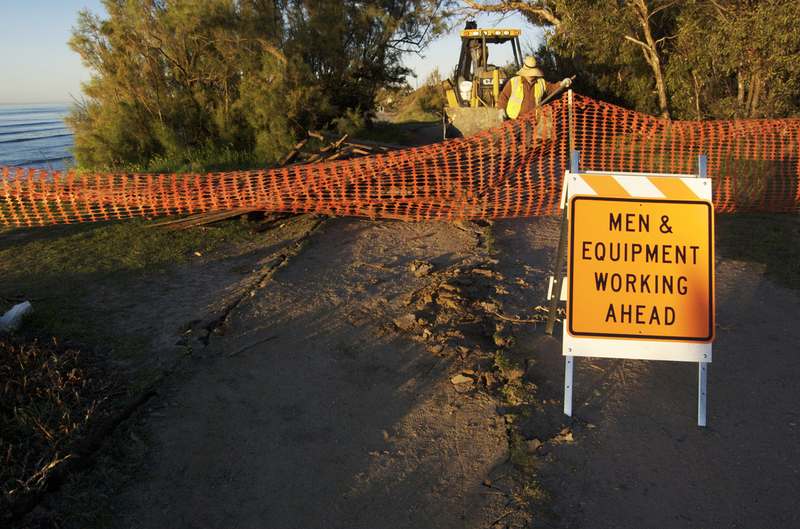 Construction and restoration of UC, Santa Barbara West Campus Bluffs Trail from the edge of Del Playa to Sands Beach began on Monday, January 24. The construction is taking place to renovate the degradation of the eroded path and poor drainage system. This construction includes refurbishing the existing trail by re-grading and stabilizing, as well as restoring the natural habitat adjacent to the pathway to provide a better trail for the myriad of bikers, joggers, and pedestrians. “The existing trail needs a replacement. It gets degraded with every storm so we’re replacing it with a similar but new path with a good foundation,” said Ray Aronson, the Associate Director of Campus Design and Construction Service. The West Campus Bluffs Trail initially developed as an informal trail in 1983 when pedestrians would hike along the bluffs. UCSB then added improvements in 1990, inevitably impacting the West Campus Bluffs Trail. Since then, the trail gradually deteriorated due to heavy use after rain and a poor drainage system. “Eroded and rutted in many sections, the degraded conditions have caused visitors to seek alternative routes, creating a network of social trails that have exacerbated erosion and impacted adjacent habitat areas,” said Scott Bull, Grants Manager and Affairs Advisor of the Coastal Fund. Surfride and the UCSB Coastal Fund have been working with university officials for the past seven years to get the project approved. “I’ve been working on this project for years. It was originally a project we wanted to complete in 2003 but that’s when we first started discussing how to get it completed. It took a long time to research, get permits and proper approval and secure funding,” said Bull. Bull also said the improvements to the West Campus Bluff area have been included in the Long Range Development Plan for West Campus. 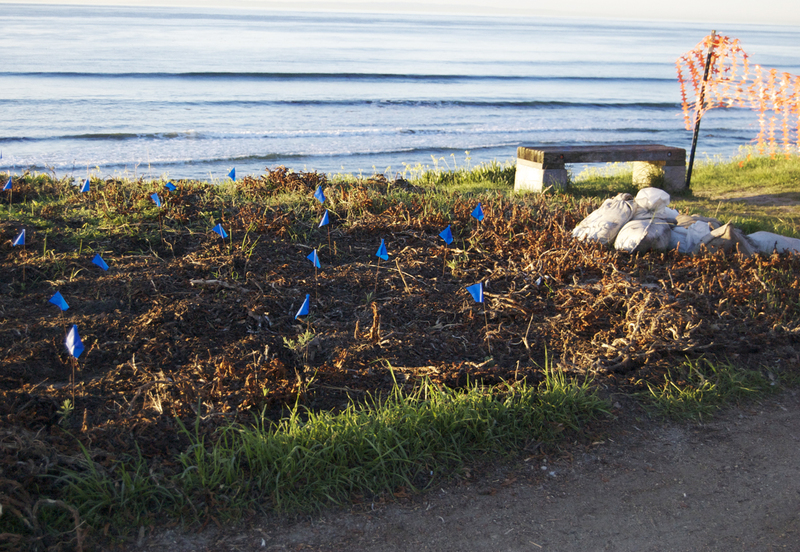 After compiling over $150,000 in funds from UCSB Associated Students organizations, an additional $32,000 given to the UCSB Cheadle Center for Biodiversity and Ecological Restoration (CCBER) strictly for restoration from A.S. Coastal Fund, and $175,000 from the Coastal Conservancy, construction finally began. The proposed project will expand the trail from the current three-foot-wide informal trail to about eight-feet-wide to accommodate all the bikers as well as straighten the trail and move it away from the bluff for safety. Bringing up the trail to a natural grade and improving the drainage will eliminate puddles and eliminate reasons people have for straying from the path. The path will be surfaced with decomposed gravel and polymer. “Coastal Conservancy wanted something permeable; polymer will hold it together and make it last longer. They didn’t want a paved road,” said Lisa Statton from CCBER. The trail will also be bordered and re-vegetated with native plants. CCBER will be implementing the restoration portion of the project. Students of UCSB not only pay for the construction, but also participate in the restoration. “We run a restoration training internship program to restore the bluffs. Different organizations can also volunteer with the restoration and get community service hours for it,” said Statton. The Coastal Fund grant given to CCBER includes paid student internships. 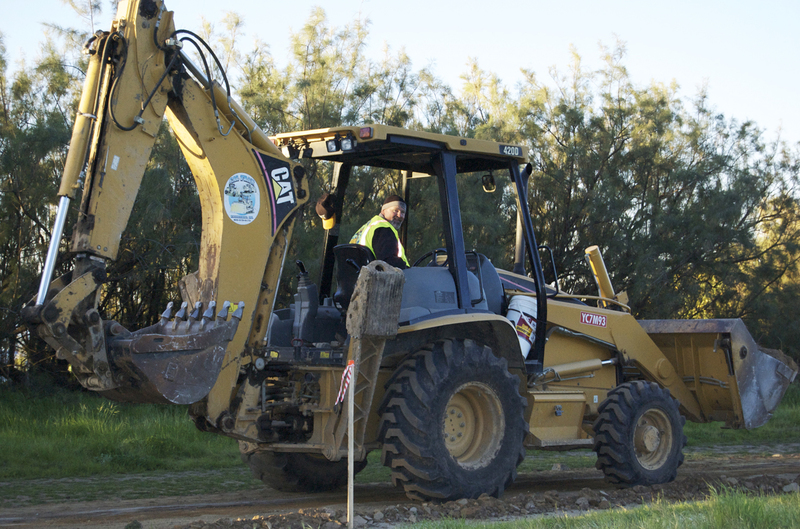 The West Campus Bluffs construction will make the trail handicapped accessible and less prone to flooding and erosion as the UCSB planning staff and student organizations intended. This project’s expected completion date is March 9, 2011 with a refurbished path and a restored natural habitat.